Ian Wright insists he understood the frustration of Arsenal striker Alexandre Lacazette who looked far from happy at being substituted against Burnley on Saturday. Two goals from the Frenchman’s strike partner Pierre-Emerick Aubameyang and a late Alex Iwobi clincher helped Unai Emery’s side recover from back-to-back defeats and survive a second half Burnley fightback. Ashley Barnes pounced to halve the deficit just past the hour mark, and the visitors threatened an equaliser before Lacazette’s replacement Iwobi settled the contest in injury time. As he trudged towards the dugout, Lacazette was seen arguing with teammate Mohamed Elneny and threatened to throw his gloves to the floor before deciding against that particular act of petulance. Explaining the former Lyon forward’s reaction, Wright tweeted: ‘Laca obviously disappointed. As a striker you know when there are still goals out there – game is stretched and he wants to score!!!! 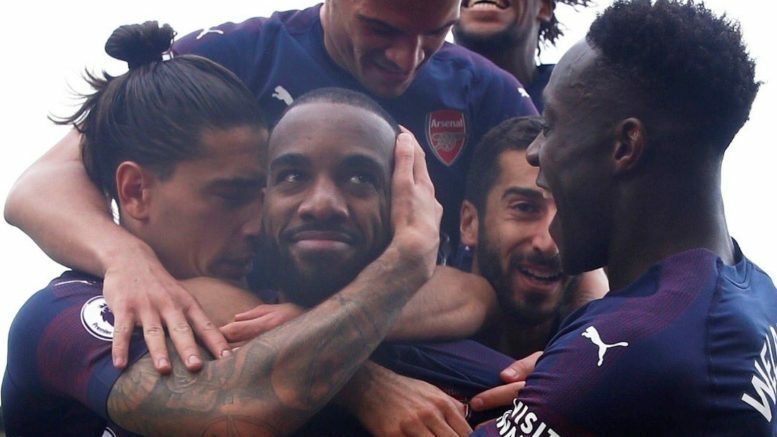 Be the first to comment on "Arsenal legend explains Lacazette reaction after row with teammate during Burnley clash"